Rakshabandhan has a historic significance among the festivals of India and is celebrated all around the country. It commemorates the bond between a brother and his sister. 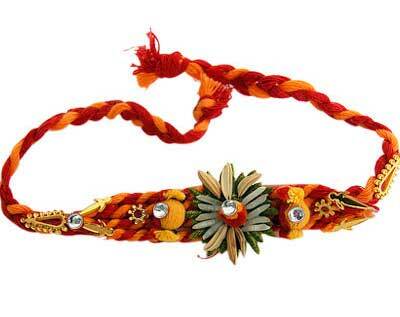 It is a special celebration where the sister ties a Rakhi around the wrist of her brother to commemorate many historical events in India where sisters tied the sacred thread for raksha or protection to their brothers who went to the battle. This is usually celebrated with great enthusiasm, and if you are planning to hold a Rakshabandhan party at home, then Yoovite.com will help you invite your friends and relatives in a systematic manner. If you don’t know when is raksha bandhan, it is celebrated on the full moon day of the month of Shravan or according to English system, in August. The main ritual in this festival is the tying of the sacred string around the wrists of the men by their sisters. The women don’t have to be the biological sisters. Any girl can tie a rakhi if she considers the guy as her brother. Prayers for the long lives of the brother are conducted during this day by the girls. In return the brothers must also re-affirm their vow to protect their sisters. And he has to make sure that the rakhi is on his wrist throughout the festive period. The need to live together peacefully is the key idea behind the ritual. Most of the times, the celebration involves traditional dance, distribution of sweets and exchange of gifts. Feeding sweets to each other after tying the rakhi is also part of the ceremony. The usual gift given by the brother is money wrapped in an envelope. But he can also present things like saris, clothing, books etc. Even more personalized gifts such as greeting cards, jewelry etc. can also be given depending on the financial capacity of the guy. Yet another set of gifts include accessories, perfumes, gadgets etc. As mentioned before, feeding sweets to each other and distributing them among guests is very important. 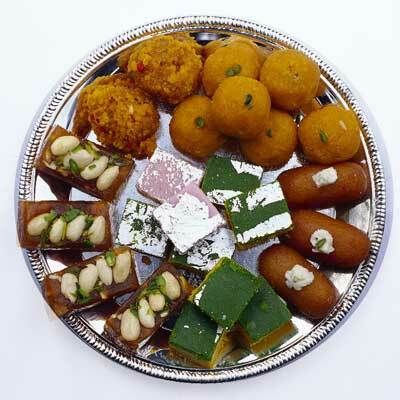 Usual sweets are Jalebi, Kaju, Katli and Burfi. There are various rakhi recipes that you can prepare on this day such as Baadusha, Badam Kaju Pista Burger, Bread Barfi, Bread Dahiwadas, Chana Dal Banana Kheer, Chandrakala, Kalingar, Malai Gulab Jamun, Dal Ke Laddu, Fruit Chaat, Jal Zeera, Kaddu Kofta With Kulcha, Korma Chawal, Masala Puri, Mint Pulao, Mushroom Masala, Mushroom Paneer Pulao, Paneer Rice Fingers, Raseeley Chawal, Shahi Paneer Korma and Spicy Dal. Rakshabandhan doesn’t have any particular timing. It runs for the whole day. The guests you invite may go to other places also for the same event. However, if you are inviting for lunch of dinner, you can specify that on the Yoovite invitation so that they can arrive on time.